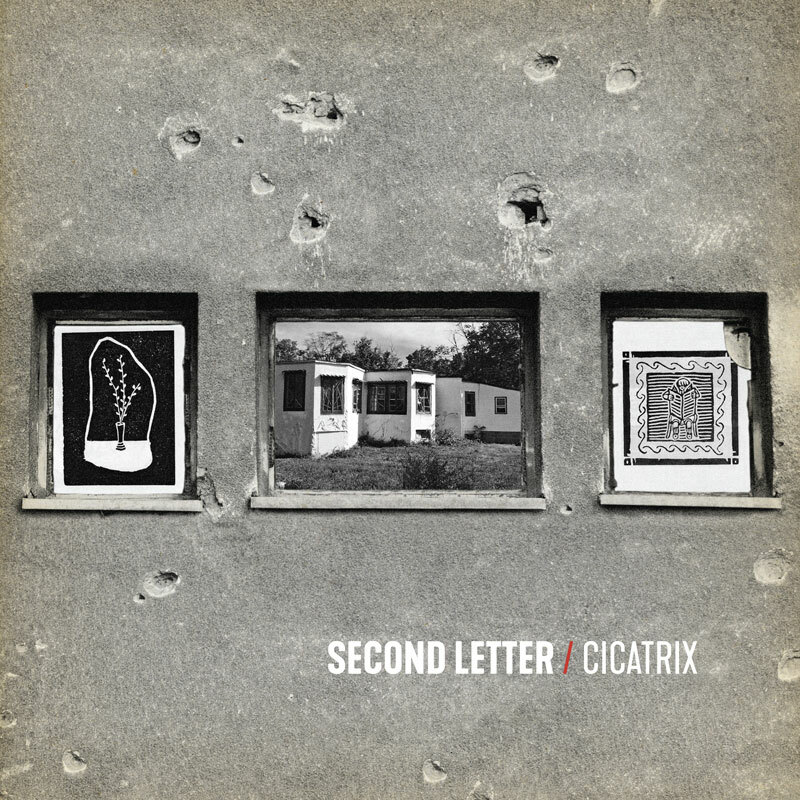 Available 5/11/2018 via Lowatt & Arctic Rodeo. 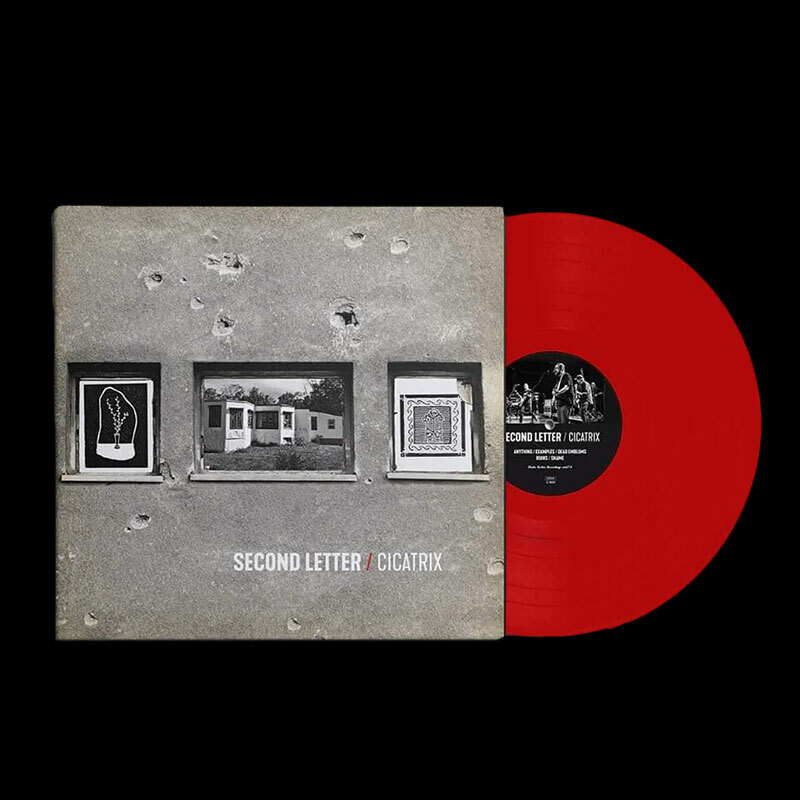 Standard cover, designed by John Yates, with standard weight red vinyl. 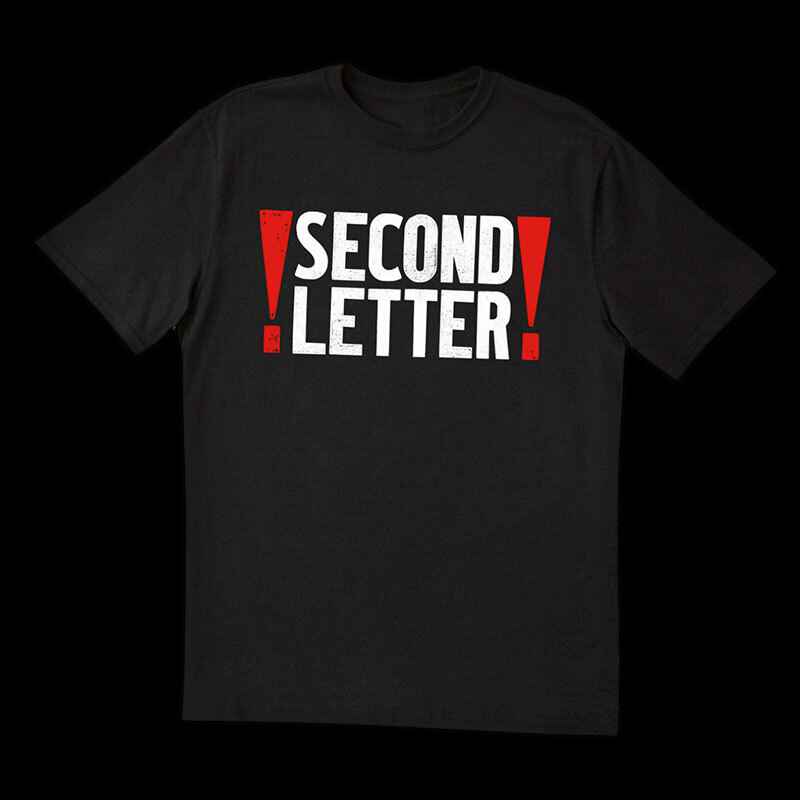 Two color print of John Yates' 'Second Letter' logo on a gray t-shirt. 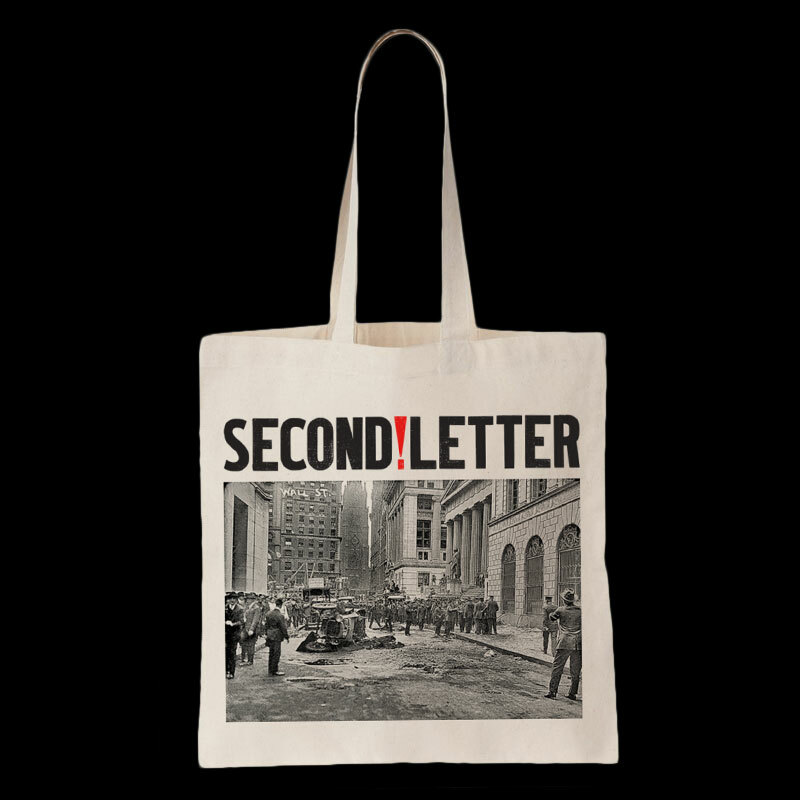 John Yates's 'Second Letter' logo printed in two colors on natural tote bag over original photo from the 1920 "Wall Street Bombing".